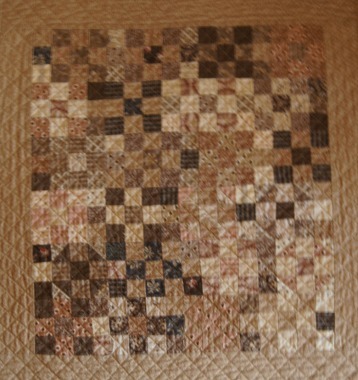 Description: This sweet quilt is the perfect size for a table top accessory or a wall quilt. In days gone by, this quilt would have been a treasured possession of any little girl to wrap her doll in. The fabrics are all from the Orchard House line named for Louisa Mae Alcott, the author of Little Women. Meg. The oldest of the four Little Women had a daughter named Daisy. This quilt is named for her. It is a simple quilt and one to be enjoyed . Make one for yourself or gift a special little girl with her own Daisy's Doll Quilt.